This article examines Utah residents’ views of incentives and disincentives for the use of OpenCourseWare (OCW), and how they fit into the theoretical framework of perceived innovation attributes established by Rogers (1983). Rogers identified five categories of perceived innovation attributes: relative advantage, compatibility, complexity, trialability, and observability. A survey instrument was developed using attributes that emerged from a Delphi technique with input from experts in the OCW field. The survey instrument was sent to 753 random individuals between 18 and 64 years of age throughout Utah. Results indicated that the greatest incentives for OCW use were the following: (a) no cost for materials, (b) resources available at any time, (c) pursuing in depth a topic that interests me, (d) learning for personal knowledge or enjoyment, and (e) materials in an OCW are fairly easy to access and find. The greatest disincentives for OCW use were the following: a) no certificate or degree awarded, (b) does not cover my topic of interest in the depth I desire, (c) a lack of professional support provided by subject tutors or experts, (d) a lack of guidance provided by support specialists, and (e) the feeling that the material is overwhelming. The authors recommend that institutions work to transition some OCW users into degree-granting paid programs as well as adopt a marketing campaign to increase awareness of OCW. Additionally, OCW websites should make their content available to recommendation engines such as ccLearn DiscoverEd, OCW Finder, or OER Recommender and should reciprocally link to one or more of these sites. Arendt, A. & Shelton, B. (2009). Incentives and Disincentives for the Use of OpenCourseWare. 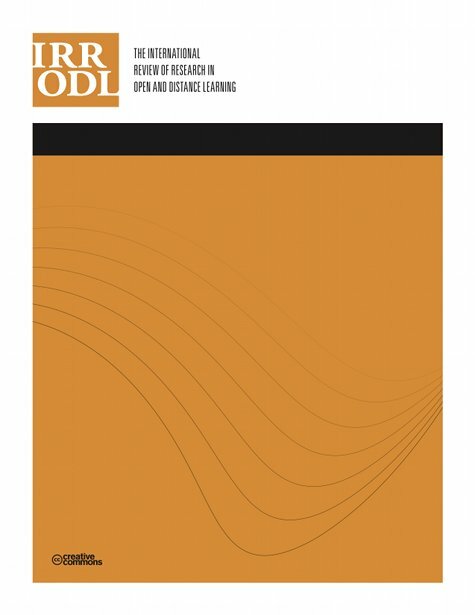 The International Review of Research in Open and Distributed Learning, 10 (5),. Athabasca University Press. Retrieved April 20, 2019 from https://www.learntechlib.org/p/49557/. Al-Gahtani, S. (2003). Computer technology adoption in Saudi Arabia: Correlates of perceived innovation attributes. Information Technology for Development, 10(1), 57. Retrieved from Academic Search Premier database. Al-Shohaib, K.A. (2005). Diffusion and adoption of the Internet among public relations practitioners in Saudi Arabian organizations (Unpublished doctoral dissertation). The University of Southern Mississippi, Hattiesburg. Allard, S.L. (2003). Innovation in a university social system: The adoption of electronic theses and dissertations digital libraries (Unpublished doctoral dissertation). University of Kentucky, Lexington. Atkins, D.E., Brown, J.S., & Hammond, A.L. (2007). A review of the open educational resources (OER) movement (Report to the William and Flora Hewlett Foundation) [Electronic version]. San Francisco: William and Flora Hewlett Foundation. Carson, S. (2006). 2005 program evaluation findings report MIT OCW. Cambridge, MA: Massachusetts Institute of Technology. Caswell, T., Henson, S., Jensen, M., & Wiley, D. (2008). Open educational resources: Enabling universal education. International Review of Research in Open and Distance Learning, 9(1), 1-12. Dayton, D. (2004). Electronic editing in technical communication: A Model of user-centered technology adoption. Technical Communication, 51(2), 207-223. Retrieved from Academic Search Premier database. Downes, S. (2007). Models for sustainable open educational resources. Interdisciplinary Journal of Knowledge and Learning Objects, 3, 44. Educause Learning Initiative. (2006). ELI innovations& Implementations—The open learning initiative (ELI5013). Boulder, CO: Educause. Hanselman, M. (2009, February 26). OCW receiving national, international recognition. Utah State Today, P. 3. Retrieved from http://www.usu.edu/ust/index.cfm?article=34468. Kirkpatrick, K. (2006). OCW. Searcher, 14(10), 53-58. Retrieved from Professional Development Collection database. Lerman, S.R., & Miyagawa, S. (2002). OCW. Academe, 88(5), 23. Matkin, G. (2005). The move toward open educational resources. Distance Education Report, 9(9), 1-2. OCW Consortium. (2009). OCW Consortium members. Retrieved from OCW Consortium website: http://www.ocwconsortium.org/. Schroll, D. (2007). Examining what influences a teacher's choice to adopt technology and constructivist principles in the classroom learning environment (Unpublished doctoral dissertation). Walden Online University. Schumacker, R.E. (2005). Standards for interpreting reliability coefficients. Retrieved from http://www.appliedmeasurementassociates.com/White%20Papers/Standards%20for%20I Nterpreting%20Reliability%20Coefficients.pdf. Smith, M.S., & Casserly, C.M. (2006). The promise of open educational resources. Change, 38(5), 8-18. Tennant, R., & Tennant, R. (2005). The open content alliance. Library Journal, 130(20), 38-38. Tornatzky, L.G., & Klein, K.J. (1982). Innovation characteristics and innovation adoption implementation: A meta analysis of findings. IEEE Transactions on Engineering Management, 29(1), 28-45. Vest, C.M. (2006). Open content and the emerging global meta-university. Educause Review, 41(3), 18-30. Increased technology provision and learning: Giving more for nothing?